Cape Town - Sharks coach Robert du Preez has named his team for Wednesday’s Currie Cup clash against the Blue Bulls in Pretoria (17:30 kick-off). After last weekend’s comprehensive 41-3 win over Griquas in Durban, Du Preez has kept changes to a minimum. The trio of Chiliboy Ralepelle, Daniel du Preez and Curwin Bosch are all unavailable for the clash as they will be at a Springbok training camp this week, with their starting places taken by Franco Marais, Tera Mtembu and Inny Radebe respectively. Jean-Luc du Preez, who was rested last week, has also been included in the Springbok squad. There are no other changes to the starting line-up. With two matches being played in the space of a few days, the Sharks will be taking 26 players on their trip to the Highveld - the Sharks also tackle the Lions in Johannesburg on Saturday. The Sharks bench for Wednesday’s match has not yet been confirmed. 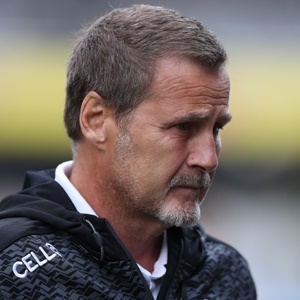 “Our continuity against Griquas was good and although there were a few tries left out there, we were happy with the effort on attack," Du Preez said.